Hi! I’m Trina Baldwin and I’m a single mum currently travelling full time, at the moment based in Bali, with my 13 year old son, Dylan. Worldschooling to me…in short…is learning through experiences in different cultures, through the adaptation and resilience required when travelling and through deeper exploration of whatever we discover that peaks our interest along the way. We take the unschooling approach. We don’t follow a formal curriculum however to accommodate my son’s need for interaction with other kids and my need for space to work and be on my own sometimes he does attend a homeschooling group three days a week. This group does do some formal work but in a very relaxed manner and is very child guided in its approach. Outside of that we spend our time getting involved in other local cultural events and really exploring and understanding our surroundings…as opposed to just sightseeing. We ask A LOT of questions to the locals we come in contact with and have great discussions about similarities and differences that we notice later on at home. In 2015/2016 we travelled in Australia in a van for a year and then went back to our home base for a year. Thought we’d try the settle down and go to school thing again…nope…didn’t work for us. We’ve now been worldschooling full time internationally for 5 months and I can’t see an end it sight yet. 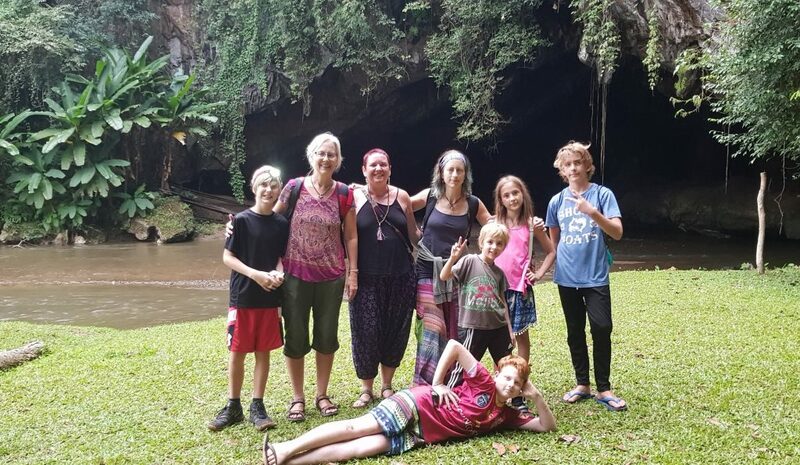 We have only taken the unschooling approach to education on our latest international adventure and there was still a tiny socially conditioned part of me that wondered if I was doing the right thing by my son. Where we live in Bali is very close to the Kerobokan Prison. We walk past it every day and see prisoners come and go, we can even hear the announcements over their PA system. This has totally intrigued my son and off his own bat he started Googling it and searching it up on YouTube. One day as we walked past he started telling me about the unhumanitarian conditions in the jail with a real concern about what he had read was going on in there. This was the kind of conversation that we had NEVER had before and it totally blew me away how much he knew and how much he cared. This was a definite indication that unschooling/worldschooling was really the right thing for him. This is just one small example of how I’ve seen his mind open up and seen him truly blossom as a global citizen of the world. We tend to seek out community events and do our best to get to them wherever they are in the world. Community to us is VERY important. Finding community, especially for my son. 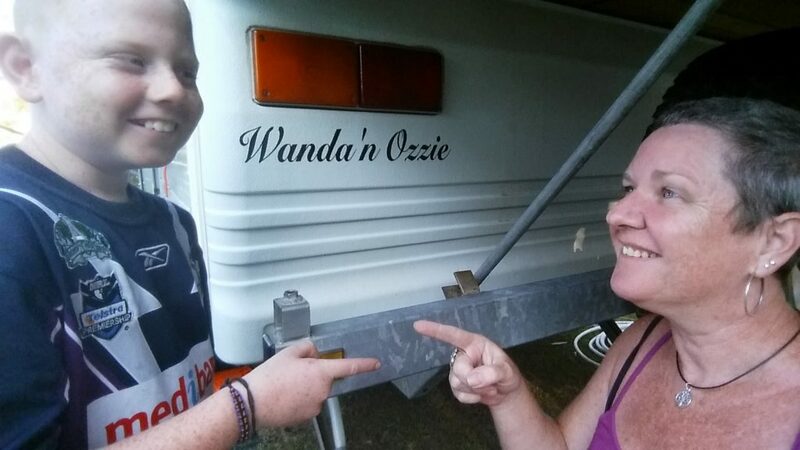 I think my greatest achievement so far was the first step – buying a van and travelling in Australia. At the time I had zero experience with towing anything – not even a box trailer. But I did it! After 12 months I was still very unskilled in reversing it but we always managed…even if sometimes I did have to bat my eyelashes a little and put on the lady in distress act and ask an old man in the caravan park to help me (there was always one around who was more than happy to help me out). Make the effort to meet up with, get to know and continue to nurture the relationships of other worldschooling families you meet along the way. It can get lonely in this big world of ours and to be able to connect with others is priceless. If you’ve been to a Project World School Family Summit, what were the biggest takeaways? There is no one “right” way to worldschool. You do what feels right for your family. What were your favorite moments during the Project World School Family Summit? A couple of times we had a large informal gathering of families sitting on the steps outside the food market having dinner. It was so relaxed and friendly. The kids, all new friends, were even all sitting on the ground playing cards. It was a moment of bliss to step back, look back and appreciate what we were part of. Don’t think about it – Just do it. It will be one of the most valuable parts of your travel adventure. The Fall 2018, Chiang Mai Summit.